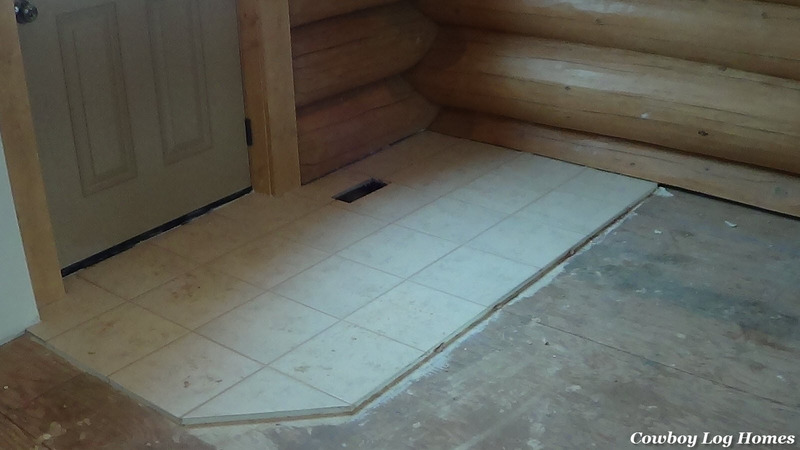 Now that all of the drywall installation and painting is complete, the next step in the finish work of our handcrafted log home is to install the flooring. The homeowners have selected 12 inch ceramic tile for the bathrooms and entryways and oak hardwood flooring for the rest of the home. 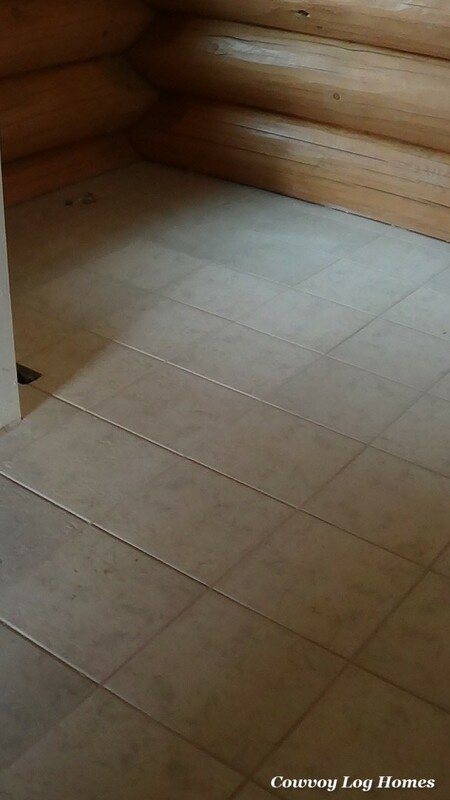 When doing all of the flooring the ceramic tile is installed before the hardwood flooring. First Hard-i-Backer cement board is affixed to the subfloor where the tile will be laid. Then the tile is installed, and grouted. This is the ceramic tile by the back door. Notice the corner is angle cut and there is a slot cut for the heat vent. The ceramic tile is an Arctic Blue color with light beige grout. If you look closely a small gap is visible between the bottom wall log and the subfloor. This is a small slot or channel that was made by laying a 1×6 spacer board along the top of the subfloor where ever the logs would be stacked. Instead of hand scribing each tile around the contour of the logs, it is instead slid into the slot. Moving on to the large master bath, we see the tile has been installed here as well. This bathroom is going to have a 6 foot vintage claw foot bathtub. The gap in the tile in the far left corner is for the plumbing for the tub to come up through the floor. 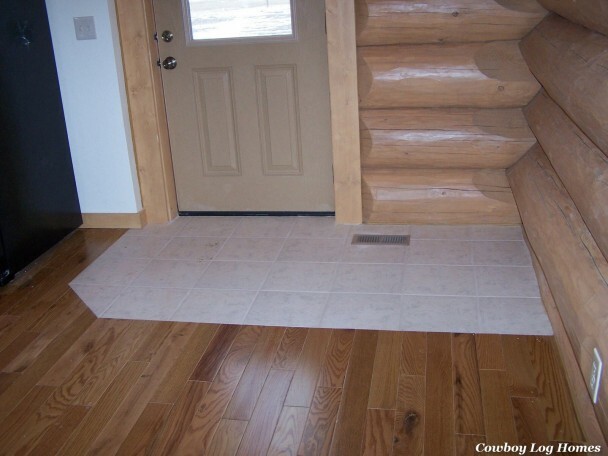 And lastly, we see the ceramic tile with the hardwood oak flooring. The flooring flows smoothly from one to the other, without any gaps or transition. If you look closely at the right hand side of the photo you will see the irregularity of the handcrafted log wall against the straight tile. The tile did not have to be scribed around the log wall. Instead each tile was slid into the spacer channel under the edge of the wall as detailed above. 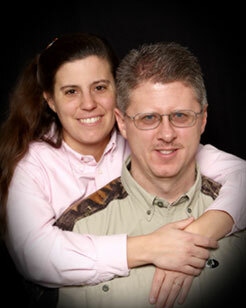 The oak hardwood flooring will be in our next segment.